From vision to reality, the 5th MK Fencing Academy International Epee Cup 2016 has proved that dreams do come true! What started 5 years ago, as a small competition with big spirit, today has become the UAE leading sporting event of the year for all fencing fans! Top fencers from around the world, amongst which Rio Olympic Champion Snagyoung Park and the Olympic silver medalist Ana Maria Popescu, showed their invincible skills and mastership of the sword in the international tournament, which took place on 16th and 17th of December in Dubai. The exclusive event has been founded and lead by MK Fencing Academy in partnership with Dubai Sports Council and UAE Fencing Federation and with the support of Gargash Enterprises as well as Sport360; Innoventures Education; Global Products; Freeplay and PBT Fencing. Two days of spectacular fencing battles amongst more than 153 fencers representing over 37 nationalities culminated in the Grand Final and created unforgettable memories for both the spectators and the fencers! 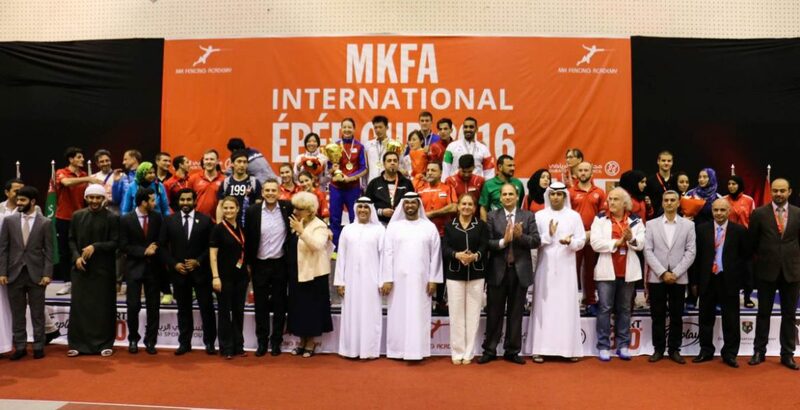 The experiences, the photos and the videos from this amazing event can just make us look forward to the MKFA International Epee Cup in 2017, which is bound to go even beyond the great success of this year’s tournament and earn UAE a reputable name amongst the best in the world of Fencing. Founder and President of the MK Fencing Academy (MKFA), Mihail has a Master's Degree in Fencing & Modern Pentathlon, and currently pursuing a PhD. He has been consulting the development of the Fencing Sport in the UAE since 2001.